Ever find yourself wondering where else you might fish for trout in Michigan, where the fishing is good and river access is guaranteed? I admit I often end up fishing the same old rivers, one that many know about. Most guidebooks and state resources reiterate these popular sites. And often being short of time, I turn to them for expediency. But if you examine the state’s trout and salmon waters map, you find those tried and true destinations are just a fraction of the trout water available. Much of the untold bounty remains the province of online forum discussions, word-of-mouth, and the wink and nod exchanged by locals at taverns. That’s about to change. 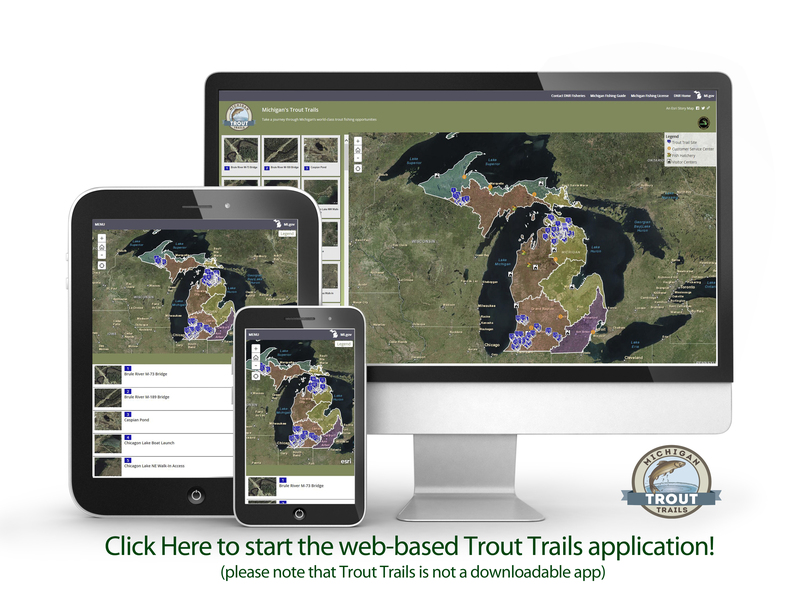 The Michigan Department of Natural Resources announced a new program last week, called “Trout Trails.” You can find it online at michigan.gov/trouttrails. This first iteration has 129 trout fishing waters listed. Each lake or stream has a quick fishing-profile and photo, access points described and a link to Google maps for directions. Each also provides a link to local visitor information, making it possible to plan a trip and find accommodations or book a fishing guide. My first look at the beta site a couple of weeks ago elicited pure excitement. It offered a simple and clear source for expanding my trout fishing horizons. No need to get bleary-eyed hovering over the state trout streams map, cross-referencing with state regulations on a computer window, while balancing a county map book on one knee. 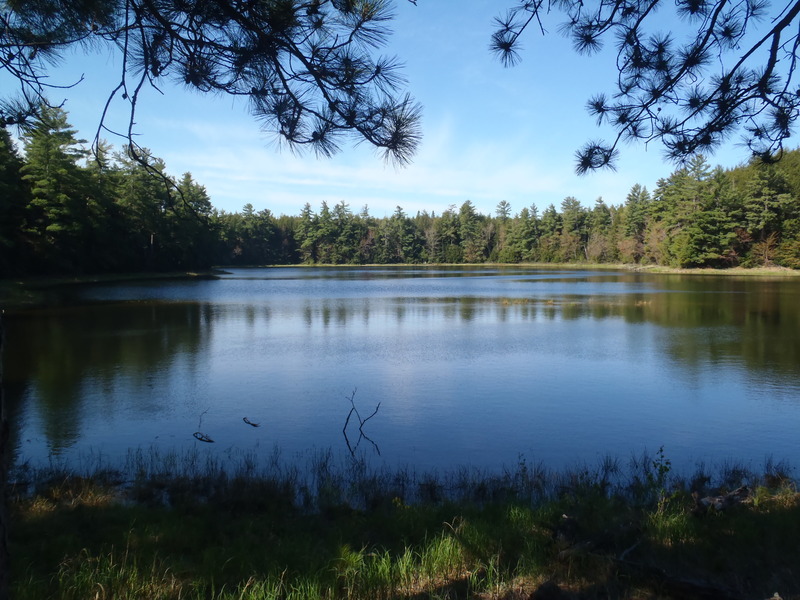 Forest Lake in western Upper Peninsula is one of the spots listed on the Michigan Department of Natural Resources’ new Trout Trails website, which tracks popular sites for fishing trout. Photo: Courtesy of Michigan DNR. I just had to pick whether to see Lake Michigan or Lake Huron watersheds or a statewide view, then zoom in on a region and click on a marked spot, or scroll through listings for more details about each. What struck me is how easy it was to use and how essential information was presented clearly. Then it occurred to me a lot was not there. The trout waters appear in just three clusters: southwest Michigan, northeast Lower Peninsula and western Upper Peninsula. Stone assured this is just the beginning. A second slate of locations is being developed, and more will be added every year. “Even in southwest Michigan, there were hundreds more we could have shown, but we didn’t want to have 5,000 sites out there,” Stone said. The locations all were selected by fisheries biologists. They represent the most productive waters in each region, according to Stone. Fishing success was an important criterion, along with public access. The sites were picked to provide anglers with a variety of trout fishing opportunities, not just fly fishing. Avid anglers often network online to exchange the kind of information the Trout Trails website offers. Now, they and the casual angler will have access to it easily. That’s a huge step in the right direction for the DNR. Check out the Trout Trails website and enjoy a better way to expand your own trout fishing horizons. This entry was posted in Uncategorized and tagged DNR, Fish, Fishing, Michigan Department of Natural Resources, Trout. Bookmark the permalink.